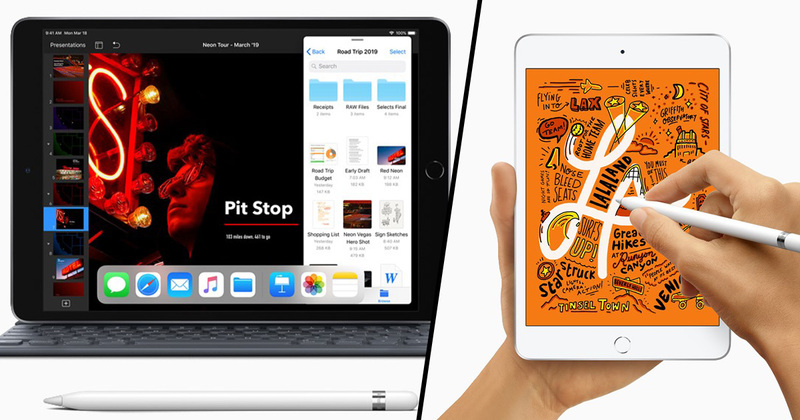 Apple has revamped its iPad lineup by adding a brand new iPad Air and an updated iPad Mini. The tech giant quietly announced the new devices in a press release on Monday (March 18). While the iPad Air sounds like it already exists, it’s actually a brand new device which is yet to be released. It has an ultra-thin 10.5-inch screen, first-gen Apple Pencil support, and is powered by an A12 Bionic chip. The new chip is significantly more powerful than the previous generation iPad Pro. Available in silver, space, grey and gold, you can buy the device for $499 (£479) with 64GB of storage. For $649 (£629), you can get a version of the iPad Air with a monster 256GB of storage. After Apple raised the prices of the iPad Pro when it came out in October, the Air is a powerful alternative which is slightly cheaper. For the first time in three and a half years the iPad Mini has been given a much needed upgrade. With smartphones getting bigger and bigger, some people believed the mini tablet would actually get dropped from the lineup. The entry-level iPad lives on to tell the tale, with a 9.7-inch screen. While it may look identical to the previous model, it’s been upgraded with the same A12 chip as the iPad Air. Apple also believes the screen is brighter and comes with a wide range of colours. It now has a Touch ID fingerprint sensor, supports the first-gen Apple Pencil, and has kept the Lightning port as well as a headphone jack. Available in the same three colours as the iPad Air, you can buy the device for $399 (£399), with 64GB of storage, or for $549 (£549), you can get a 256GB version. While the Air has branded itself as a cheaper, lighter alternative to the iPad Pro, the purpose of the Mini is still unclear. It could be a cheaper version of the entry-level iPad or a more portable version of the iPad Pro. It’s impossible to guess with the price of who exactly it’s been aimed at. With smartphones constantly increasing in size, this could end up being the last iPad Mini ever made. As for the iPad Air, having a cheaper alternative to the Pro could give Apple customers more choice going forward.